The Holt and Balcom Logging Camp No. 1 was built in 1881, and it continued in use until 1929; it was one of the last in the area to close. We believe it is the oldest logging camp in the United States still standing on its original site. In 1949 the camp was given by the Holt Lumber Company to the Oconto County Historical Society. In 1970 the camp passed to the McCaslin Lions Club which restored the building and began offering tours. 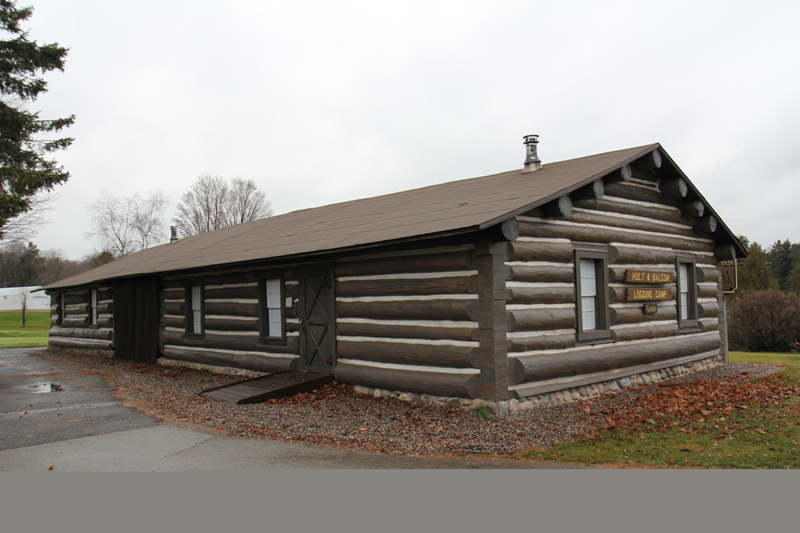 In 2007 the Oconto County Historical Society again became the owner of the camp, and in 2008 the Society undertook a major renovation which was completed in 2013. The camp is open for school tours in the spring, and it is open to the public on Saturdays from Memorial Day through Labor Day, and by appointment. For more information contact Camp Manager Bob Brown at bobschoice4@yahoo.com or Camp Curator Kathie Marsh at kathiemarsh@yahoo.com.